How long has the Roofing Company that you’ve selected been in business? How Enthusiastic are the referrals? Do they seem satisfied with the work they’ve received? Were you offered a Proposal? How does the Roofing Company Address Complaints? Want more Albany (Albany County) Roofing Information? Finding a qualified roofing professional in Albany, NY is more complex than just requesting price quotes from contractors and then selecting the lowest price. It’s important to set aside some time so you can do some through research to make sure you get the best quality roofing work done at a fair price. Roofing companies vary greatly in the Albany NY region. Some companies are large, some are small, and they may be privately owned or even owned by a larger corporation. When selecting a roofing contractor make sure that you’ll be able to have direct contact with the owner, salesperson or the person who will be doing the work on your roof. Whoever you’re in contact with should be both knowledgeable and enthusiastic about their company and the work they will be doing for you. Ask them about previous roofing projects they’ve completed and ask if they’ve completed a roofing project similar to the work that they’ll be doing on your roof. Don’t be afraid to ask for references from previous customers, this can help ensure the company is reputable and does good work. Get the companies address so you can investigate them further. Look up reviews and contact the better business bureau to find out more about the company. Lastly, keep in mind that it’s often much easier to deal with a contractor who’s local to your area as opposed to someone who’s not in your region. One of the most important things a roofing company should be able to provide for you if proof of insurance. They should have both general liability and workers comp insurance should any accidents or problems arise. Asking the company if they have insurance isn’t enough though, be sure to contact their insurance agent before any work has started and confirm that they are insured. It is not recommended that you hire an uninsured roofing contractor, but it is a decision you will have to make. Though some counties require roofers to be licensed, we don’t know of any such law that exists in Albany County. A roofing license is generally obtained by taking a written test to indicate your roofing knowledge. But, most counties will require a building or zoning permits with an inspection of the work that has been completed. • Did the contractor perform their work in a reasonable amount of time? • Did the company take care of any concerns promptly? • Did the roofer react calmly to providing further information or changes? • Would you describe the roofing company as “trustworthy”? Roofing companies will usually put a guarantee on their workmanship, but there is another warranty you’ll want check into. Roofing products and materials often come with guarantees and warranties on their products. Ask the contractor for a copy of the manufacture’s warranty on all the materials they may be using to complete your roofing project. Warranties will typically cover the shingle roof system, but other warranties may be available. In addition to the manufacturer’s warranty some manufacturers will offer programs which aid contractors in installation. These programs will provide expertise and knowledge on installing the specific roofing material provided by the manufacturer. Every business has to start somewhere, but generally the longer a business has been around the better. Always check references for a company not matter how long they’ve been in business. Check thoroughly and always do your research before selecting a roofing company. Ask the roofing contractor for references from recent customers. Don’t be afraid to ask for phone numbers so you can talk to the past customers. See if they were satisfied with the work and any complaints they may have had. If possible see if you can get photographs of the work the company preformed or better yet ask if you can stop by and see the work for yourself. If you’re lucky they will let you stop by and you can talk with them in person and ask questions while you inspect the contractors work. Be sure to ask any potential roofing contractor for a proposal. Proposals will indicate a number of different ideas for how the work on your roof should be done and products that can be used. Proposals will list the brand names, prices, designs of potential materials that can be used on your roof and may contain other information as well. You should expect the company to provide about three or more product choices with a variety of prices and qualities. Often contractors will provide the manufacturers literature and samples of each of the products in the proposal, this way you can investigate the quality and durability of any material you may be considering. Make sure the warranty you receive from the manufacture will cover both near term and long term problems that may occur with their products. Problems with roofing materials may become noticeable quickly, so it’s important to understand how the warranty works before purchasing any materials. When you ask a contractor for recent customers whom you can contract for a reference, ask the company to provide you with customers who had a complaint. Ask the contractor how they worked the problem out? Contact the reference and ask them about their complaint and what the company did to rectify any problems. Check with the Better Business Bureau and licensing authorities to verify that the contractor is licensed and doesn’t have any pending lawsuits against them. You don’t need to ask any of these questions until you’ve received a price quote or proposal. Remember that an estimate or price quote is different than a proposal. Proposals will be more detailed and list product prices and the quality of each product, while an estimate is just a total price for the work being done. Inspect your property before any work is done to make sure there are no safety hazards which could cause injury. Ensure that you’ve clearly outlined the terms of payment and agreed on a work schedule that suits both you and the contractor. Confirm with the contractor that they will be following all of the manufacturer’s installation guidelines. This includes, ice dam protection, fastener requirements, ventilation requirements, and low slope installation terms. All these guidelines will be specified in the manufacturer’s literature and installation guide. Understand the contract that the contractor provides you. Larger companies will often have very detailed agreements which can be difficult to understand. Most problems with contractors arise from misunderstanding of the contract and not the work itself. Read the contact and clarify any questions you may have about it with the contractor before signing it. There are a number of questions that need to be asked about building codes and permits. Are permits required to complete the roofing work? Who will be responsible for getting those permits and who will pay for them? Will any inspections be required? Will they be observed? Do any zoning notices need to be posted? Who will be responsible for posting them if need be? Did the contractor outline the variety of roofing products available for the work that will be done? The company should present you with different options and explain the differences between each material and the associated costs. Make sure they explain both the aesthetic and technical qualities of each product including information on UV ratings and reinforcements, as well as color and texture differences. Ask about the warranties available for each material. Discuss a work schedule with the contractor, establish a finish “no later than” clause in the contract. Weather can often play a role in roofing projects, so be fair when establishing the contract. Make sure the roofer will have enough time to do a good job and complete the project in a timely manner. Be sure that you both agree to the terms of the agreement and make it clear that you are reasonable but will enforce the terms of the agreement. 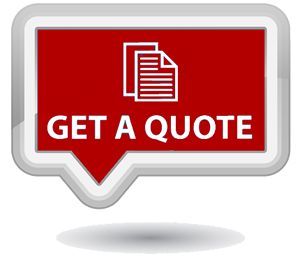 Explain to the contract that you aren’t looking for the cheapest quote, but the best value and quality work for your money. Let the contractor know if you were referred to them through a friend or saw their work somewhere, this shows the roofer that you are an interested client. Roofers are always looking for good clients, believe it or not there are untrustworthy homeowners who will try and con contractors and file lawsuits against them. The interview process can highlight any potential warning signs. Contractors would much rather work with informed and honest homeowners and telling a company you’ve been referred to them by a past customer can help ease any concerns they may have. These simple steps can help you ensure a roofing contractor will want to take on your job. Get in touch or go online and check out your Albany NY Better Business Bureau or roofing trade associations if you need any addition help in seeking a roofing contractor. Be sure to check with town and county zoning agencies as they can provide you with information about roofing permits that may be required before work can begin. © 2019 Albany NY Roofers. All Rights Reserved.